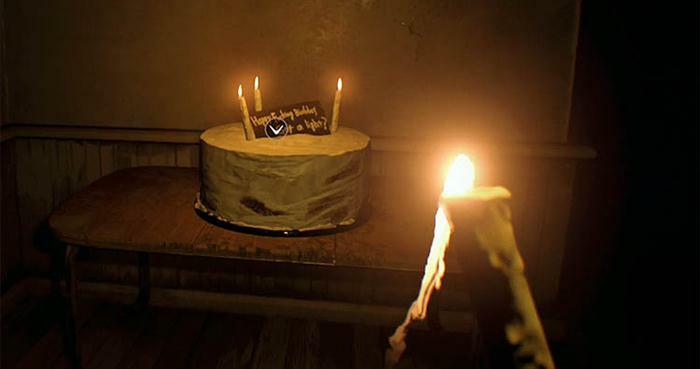 The birthday cake puzzle is one of the hardest problems to solve in Resident Evil 7. This guide should hopefully save you alot of frustration (and time) as you attempt to light the candle and complete the task set by Lucas (the Baker family son). 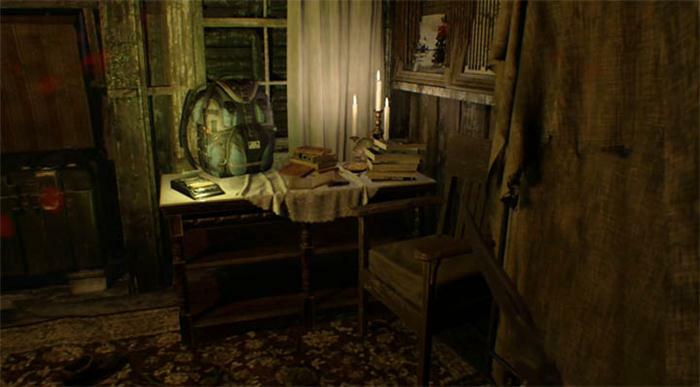 By now you will have realised that what happens in the video tape footage usually reoccurs in the actual game, as you discover new areas and find hidden items. The same is true for the birthday cake puzzle. As a result of this, the guide below is split into two sections one for the video tape part and the other for Ethan gameplay. To avoid any spoilers, read the section which applies to you. The birthday video tape is found in the secret attic area, above the kids bedroom. You will have visited this area whilst trying to find the two keycards to get to Lucas' "party". The tape can be played at any video player location but I opted for the recreation room since it was closest. The video starts with a scene involving Lucas and one of the trespassers that we saw in previous video tape footage. He gets locked in a small dark room and the game passes the controls to you. Take the candle from the man/dummy on the right. Turn left and venture into the little kitchen area. Now turn right and pass through the door so the water falls from above and the candle is extinguished. Go back to the room where the man/dummy is sitting on the desk. There is a sink in this room. Turn the tap. Turn right 90 degrees and flush the nearby toilet. Reach down and pick up the dirty telescope which is inside the blocked toilet boil. Head back into the room where the cooker is. Equip the telescope from your inventory. Now pass through the door on the right which usually distinguishes the lit flame on the candle. The telescope is washed and is now clean. Now that the telescope is clean, go back to the kitchen room, equip the telescope and look towards the tv monitors (see image above). Three symbols will appear on the screens - memorise these symbols. Go to the birthday cake room and enter the symbols on the padlock of the locked box. Collect the straw doll inside the box. In the same birthday cake room, interact with the wooden barrel to remove winding key. Go back to the kitchen room and light the candle using the cooker. Go to the locked door to the right of the monitors. Interact and select the lit candle from your inventory. The candle can burn through the rope, unlocking the door. Enter the room with many balloons and pick up the deflated balloon on the floor. In the kitchen again there is a hose poking through the wall. Interact and select the balloon from your inventory. This action results in the quill being added to your inventory. 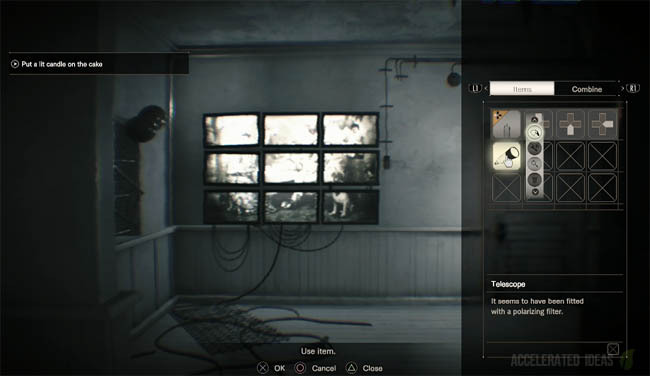 Interact with the cooker (flame) and select the doll from your inventory. The doll will burn revealing a finger. You now have the necessary pieces to get the final code. Go back to the man/dummy and place the finger into his left hand. Then place the quill into his hand. Finally, place the winding key in his chest and turn to complete the next sequence of the puzzle. You should have the code by this point. Go back to the balloon room and input the code onto the locked door. Claim the Valve Handle from this small room. Almost there now. Go to the cake room and interact with the pipework on the left of the door. Add the Valve from your inventory and turn it to stop the sprinkler. The final part of the puzzle requires you to light the candle once again and place it onto the birthday cake. The water sprinklers will not go off this time, keeping the candle alight!!! TIP: You can skip most of the steps for this puzzle by remembering the sequence of symbols (hanged man, bell, baby) and the code (LOSER) to enter the locked room. This time around the steps for the puzzle are all the same so forget about following all of the tasks explained above. Instead remember the important symbols (hanged man, bell, baby) and the code (LOSER) to enter the locked room. Get only the pieces of the puzzle you need. I expect that you will be facing a similar problem that I had at this point. Ethan always catches fire and you keep seeing the "You are Dead" (Game Over) screen right? Now, I can help you get past this annoying recurring event but I can't guarantee exactly why this happens….not until my second playthrough anyway. The first two times (maybe three) when I attempted the birthday cake puzzle, the cake exploded and the room set on fire. I was on the ground and couldn't really go anywhere. I tried using the Valve to turn the water back on but that didn't work either. Eventually after several retries I discovered a little hold in the wall. This crack is just to the left of the wooden barrel where you get the winding key. I inspected it and it revealed a little passage or empty room beyond. The next time I attempted to light the cake, it still exploded but the room never caught fire. Was this the little room that prevented it or do you really need to try several times before the death sequence stops? I can't say for sure but if you're still seeing the game over screen then try looking for that little gap first and see if it helps you too. 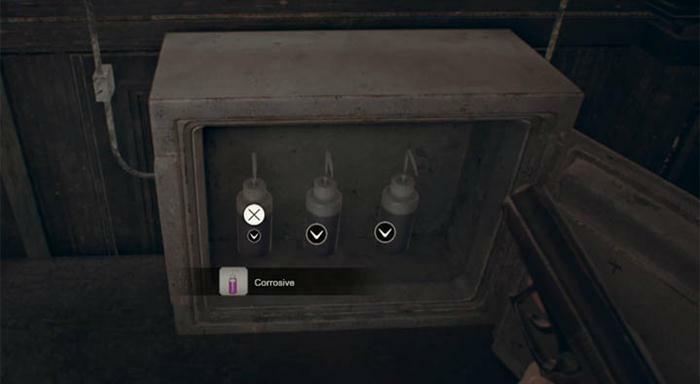 IMPORTANT UPDATE: Avoid getting the winding key since the liquid from the barrel may be flammable and the reason for the fire outbreak.